Born West Chester, Pennsylvania; grew up in Goshen, New York. Developed love of drawing and painting in childhood. Worked at various jobs including hotel porter, furniture crater, and iron molder. Joined the army in 1917 and was sent to France as part of 369th Infantry (“Harlem Hellfighters”), keeping an illustrated journal of his military experiences. 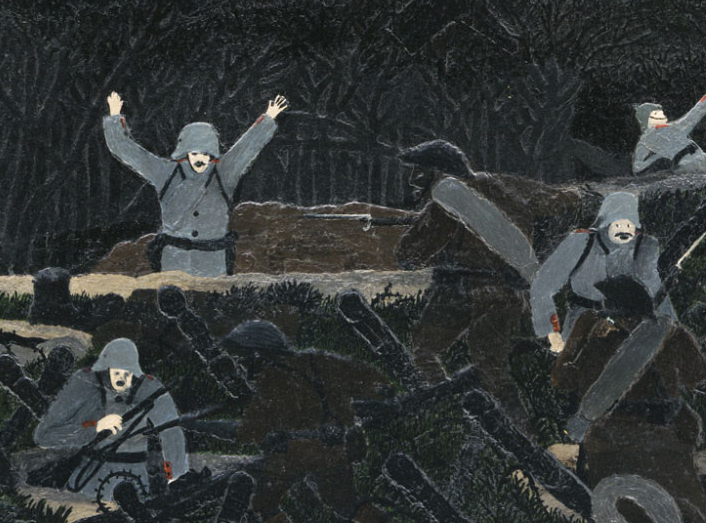 Was badly wounded in the right shoulder near Séchault on September 30, 1918 losing the full use of his right arm. Received Croix de Guerre. Returned to United States in 1919 and settled in West Chester, living on odd jobs and his disability pension. Married Jennie Wade in 1920. 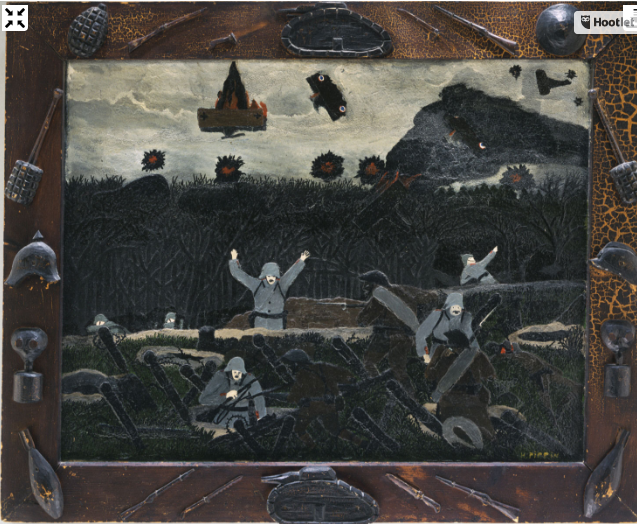 Resumed activity as an artist, executing oil paintings using his left hand to assist his injured right arm; the first of these, “The End of the War: Starting Home” (c. 1930) took over three years to complete. His work, focused on historical and political themes and scenes of African-American life, attracted local attention and was championed by painter N. C. Wyeth. Began exhibiting in galleries and major museums including the Carlen Gallery (Philadelphia), the Corcoran Gallery (Washington, D.C.), the Art Institute of Chicago, and the Museum of Modern Art. Died in West Chester.